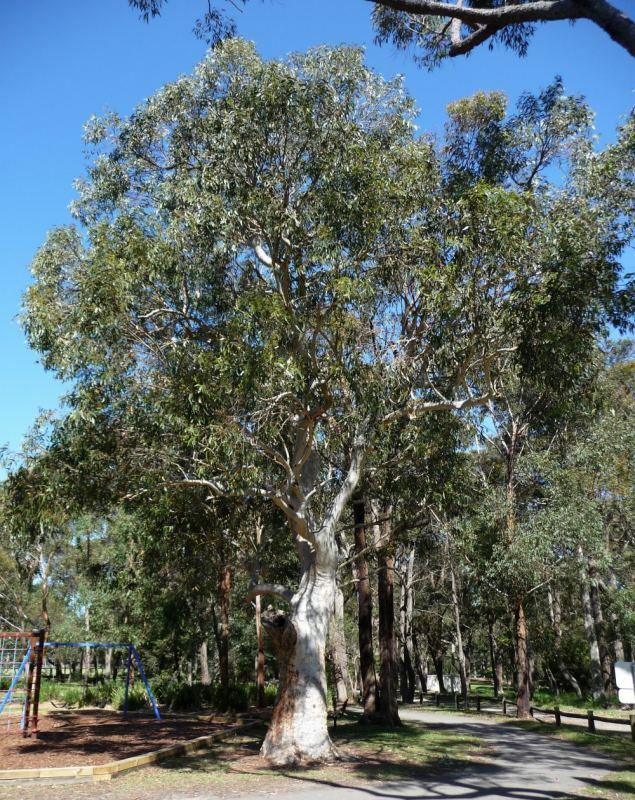 An Australian eucalypt that is named after the 'scribbles' on its bark. These zigzag tracks are tunnels made by the larvae of the Scribbly Gum Moth (Ogmograptis scribula) and follow the insect's life cycle. Eggs are laid between layers of old and new bark. The larvae burrow into the new bark and, as the old bark falls away, the trails are revealed. The diameters of the tunnels increase as the larvae grow, and the ends of the tracks are where the larvae stopped to pupate.